George A. Pérez is a senior vice president at 1st Century Bank, where he manages and oversees portfolio management for the California region. He also serves as the director of portfolio management and risk manager for the region, supervising commercial lending credit exposure to ensure that sound lending policies and practices are followed. For more than 30 years, Pérez has worked in the banking industry. In 1986, he joined Popular Community Bank, where he served as both a regional senior credit officer and regional head of commercial lending, among other positions. Prior to joining Popular Community Bank, he worked as a commercial lender and senior credit analyst for such financial institutions as Manufacturers Bank and Bank of Boston in Los Angeles. A firm believer that “…to whom much is given, of him shall much be required,” Pérez has made community involvement a priority in both his career and personal life. He served on the board of New Horizons Family Center for five years, including a term as board president of this Glendale, California-based organization, which provides a safe and nurturing environment for women and children victimized by domestic violence. As a member of the Lake Avenue Church Galilean Class leadership team, he traveled throughout Mexico to build housing for those in need. In 2006, Pérez joined a building team that went to Shreveport, Louisiana to rebuild housing for Hurricane Katrina victims. That same year, the South Korea-based organization GCS International invited him to join a delegation of professionals, business people, educators and political leaders to represent Los Angeles during an International Friendship and Cultural Exchange Program, which was held to build strong relationships with Southern California’s Korean community. In recent years, he has lectured at the California State University, Los Angeles College of Business and Economics about current developments in the nation’s banking system. In addition, Pérez has been involved with Operation Hope, a financial education program that works with the public and private sector to educate youth in grades 4 through 12. Dedicated to his alma mater, Pérez has served on the LAA Board of Directors member for over ten years. During this time, he has been a member of the Dinner Committee several times, assisting in raising scholarship funds for needy students. He is also a proud member of the USC Alumni Association Board of Governors. Pérez has a BA in psychology from the USC Dornsife College of Letters, Arts and Sciences and a BS in business administration from California State University, Los Angeles. He is also a graduate of the University of Colorado School of Banking. Fluent in English and Spanish, Pérez currently resides in Los Angeles. When not at the office, he is usually on the golf course, doing business, of course. 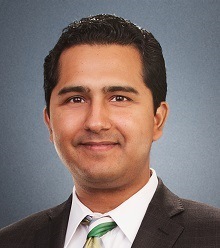 Ismael Bautista is a litigation attorney at Arent Fox LLP, where he represents domestic and international clients in several areas, including general business litigation, commercial disputes, copyright and trademark protection and prosecution, healthcare issues and insurance coverage. He earned a BA in economics and philosophy from the USC Dornsife College of Letters, Arts and Sciences, and a JD from the UCLA School of Law, where he served as a managing editor for the Chicano-Latino Law Review. As a USC undergraduate, Bautista interned for Congresswoman Lucille Roybal-Allard via the Congressional Hispanic Caucus Institute, and served as president of the Latino Honor Society. A former LAA Scholar, he was a 2003 nominee for the LAA’s John R. Hubbard Award. Bautista graduated as a USC Renaissance Scholar and was awarded the Order of Troy. Following graduation, he was an active member of the LAA’s Young Leaders Council. 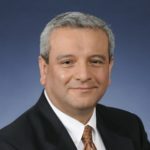 A past chair of the Los Angeles County Bar Association’s International Law Section, Bautista is currently a member of the American Bar Association, the Hispanic National Bar Association and the Mexican American Bar Association. He has also served on various committees and boards, including the UCLA School of Law Marco Firebaugh Dream Fund, and Students, Educators, and Lawyers for Access to a Legal Education. In 2004, he created the Bautista Scholarship at his alma mater, Hawthorne High School, for deserving graduating seniors. Karime Sanchez Bradvica is CEO, group facilitation and collaboration specialist, and corporate coach at Karime Consulting Group, working with nonprofit organizations in Los Angeles and Orange counties to improve group collaborations. She previously worked for 30 years at AT&T, where she served as area vice president of external affairs, overseeing government affairs and community relations. She received a BS in business administration from the USC Marshall School of Business. Bradvica has been honored by numerous organizations for her tireless dedication to community causes. She has received the USC Latino Alumni Association Legacy Award, as well as the Corporate Responsibility Award from the Mexican American Legal Defense and Educational Fund. She was named Business Woman of the Year by California Assembly Speaker Fabian Núñez, Woman of the Year by California Senator Martha Escutia, and Woman of the Year by the Mexican American Opportunities Foundation. 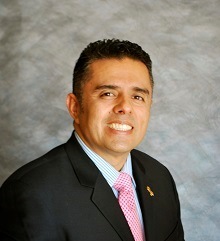 Saul Alvarado serves as vice president of facilities at E&I Cooperative Services. In this position, he is responsible for developing the strategic framework to improve growth and utilization of the company’s facilities category contract portfolio, with a focus on establishing, enhancing and negotiating regional and national contracts for higher education and K-12 markets. Before joining E&I, Alvarado held various leadership positions, including senior national sales manager, at W.W. Grainger, Inc., where he led the company’s largest education contract, with over 1,800 customers nationwide. In Southern California, he served as district sales manager and government sales manager for Grainger Public Sector West, where he led a top performing team of sales professionals. 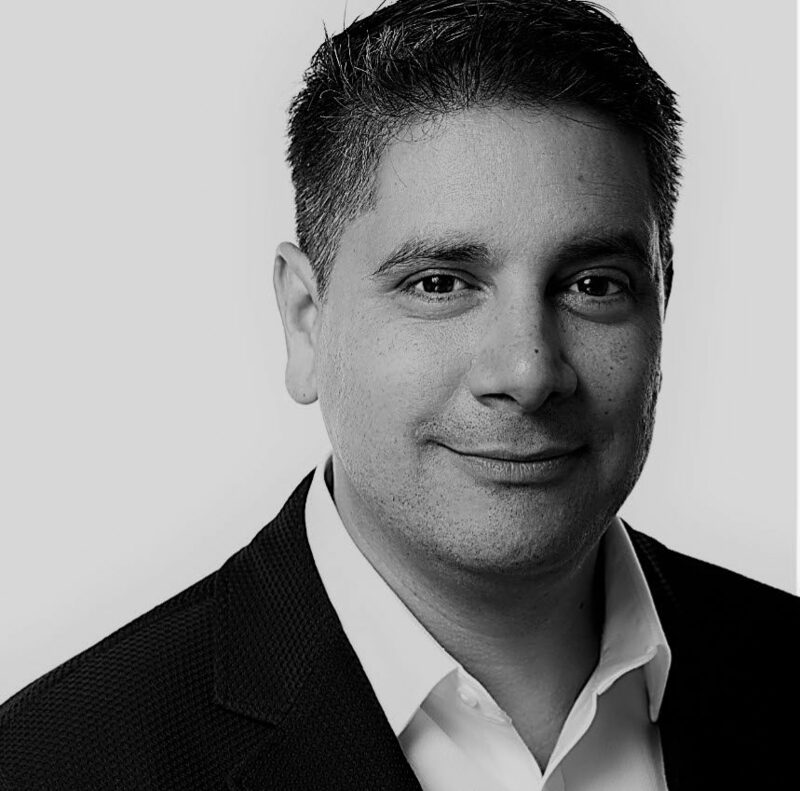 Prior to joining Grainger in 2009, Alvarado was managing partner at Pinnacle AGI. His primary responsibility was representing private and public clients on investment, procurement and economic development projects. He has also served as a senior business/economic advisor to three Los Angeles mayors; in this role, he oversaw various city investments and public procurement contracts that ultimately benefited the public and business communities. Alvarado’s philanthropic efforts are focused on education, human health and development. He currently serves on the board of directors of L.A.’s The Midnight Mission, which provides 12-step recovery, family living, job training, education and workforce development programs. In addition, he has served on the board of trustees of the California Masonic Foundation, which is making a profound difference for public schools across California. Alvarado graduated from the USC Price School of Public Policy with a bachelor’s degree in public policy & administration. He is also a graduate of the Southern California Leadership Network Class XIV. Claudia Bodan is the Los Angeles market president for Commercial Bank of California. Over the course of her 23-year career in banking, she has dedicated her energies to helping entrepreneurs grow their companies by providing flexible and creative solutions to meet their business needs. Passionate about serving the business and philanthropic communities, Bodan has been recognized numerous times for her contributions. In 2016, the Hispanic Association on Corporate Responsibility presented her the Young Hispanic Corporate Achievers Award; that same year, she received the Department of Commerce’s Access to Capital Banker of the Year Award. Her other honors include the Dulcenia Award for her leadership endeavors in the finance community. Bodan has served as the president of the Los Angeles chapter of the National Latina Business Women’s Association, and as the California state president for DECA/DEX a marketing organization that helps college students develop their business community skills. 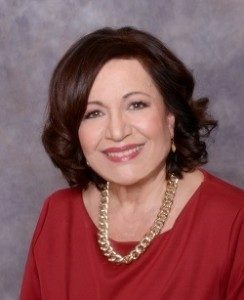 The current chair of the Los Angeles Latino Business Chamber of Commerce Advisory Board, she has served on numerous boards and committees, including HOPE, NAWBO LA, LA Minority Business Opportunity Center, BizFed, LAEDC and others. She is a servant leader who is an active member and volunteer of many community and business organizations throughout Los Angeles. A native of Nicaragua, Bodan moved to the United States at the age of 5. She received a BS in corporate finance and business administration from the USC Marshall School of Business. Her personal interests include empowering women/young girls, spending time with her two children, attending theatrical productions, golfing and volunteering in the community. 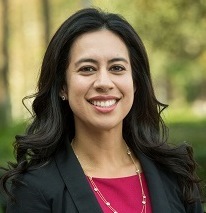 Carolina Castillo is the executive director of development for USC Civic Engagement. In this role, she provides leadership and strategic planning for the USC Good Neighbors Campaign and manages its grant-making program; she also oversees the Galen Center’s community program. A university employee for more than 25 years, Castillo previously served as the assistant director of the USC Rossier School of Education’s Center for Multilingual, Multicultural Research. She earned a BA in communication from the USC Annenberg School for Communication and Journalism and two graduate degrees from USC Rossier: an ME in postsecondary administration and student affairs, and an EdD with an emphasis in higher education leadership. Castillo is a board member of Kheir Medical Clinic, a member of the White Memorial Medical Center Community Leadership Council, and an advisor to the student organization Hermanas Unidas. She formerly served on the Los Angeles City Commission on Community and Family Services, and as a facilitator for the Parent Institute for Quality Education. 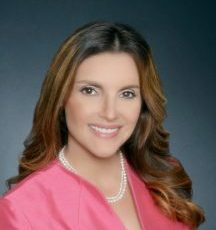 Patty Covarrubias-Williams is vice president and Hispanic segment manager for Bank of the West’s Hispanic Initiative. She is responsible for managing multiple cross-functional teams, projects and programs to develop strategies that support the Hispanic customer. 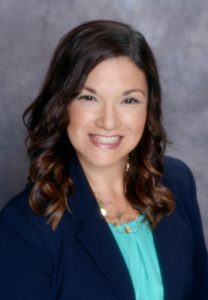 Covarrubias-Williams joined Bank of the West in 2007, after holding management positions with Citibank and Washington Mutual, where she was involved in strategic planning and management of corporate philanthropic programs. 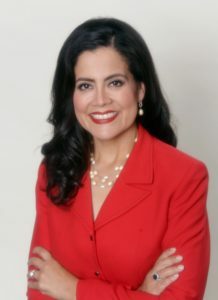 In addition to serving on the LAA Board of Directors, she is an advisory board member for the National Latina Business Women Association, and has also served on numerous other boards, including Familia Unida, Southern California Business Development Corporation, Greater Los Angeles African American Chamber of Commerce and Inland Empire United Way. Covarrubias-Williams received a BS in public policy and management from the USC Price School of Public Policy and an MA in communication management from the USC Annenberg School for Communication and Journalism. Yasmin Davidds is an organizational psychologist and the founder and CEO of both the Women’s Institute of Negotiation and the Latina Global Executive Leadership Institute. As one of only a few Latina negotiation experts in the U.S. and Latin America, she has coached and counseled more than 2,000 corporate leaders in more than 200 blue-chip companies in 22 countries. In 2011, Davidds established the Women’s Institute of Negotiation (WIN), dedicated to the teaching, instruction and development of negotiating skills and leadership competencies, primarily focused on women in professional, academic and corporate settings. Her commitment to the empowerment and development of women leaders has brought her recognition and acclaim from the U.S. Congress, the California State Senate and the California State Assembly. A USC Marshall School of Business graduate with a degree in business entrepreneurship, Davidds later earned a master’s in women studies and a doctorate in organizational psychology. In 2013, she developed and launched the first Latina Global Executive Leadership Program in partnership with USC Marshall. In 2016, Davidds received the We Are Women of the Year Award. 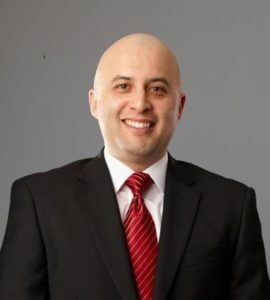 Rigo Diaz III ʾ89 is founder and president of Corner Escrow, an independent escrow company with offices throughout Los Angeles, Orange, Riverside and San Diego counties. A graduate of the USC Marshall School of Business, Diaz played football for the Trojans and is a longtime supporter of USC athletics, as well as an alumni member of Sigma Chi Fraternity. 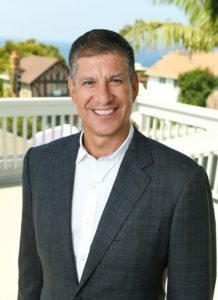 Prior to founding Corner Escrow, Diaz founded two companies: Four Corners Financial, a mortgage banking enterprise, and Belladom Development, which focuses on single-family residential property development. He is also co-founder of the charitable apparel company Arm the Animals. An active USC alumnus, Diaz has served on the USC Latino Alumni Association Board of Directors since 2012. He also co-chaired the USC Latino Alumni Association Endowment Campaign that raised over $4 million. In addition, he serves on the USC Alumni Association Board of Governors. He is the proud father of Isabella, who is currently attending Fordham University School of Law, and Dominic, a USC freshman and member of the Trojan Marching Band. Richard Sharpe Flores is a managing director and CBG regional manager with the Bank of the West’s Real Estate Industries Division. In this position, he oversees a team responsible for relationship management and business development activities for commercial real estate clients and prospects in Southern California. He has also served as the president of the board of directors for PVJOBs, a nonprofit dedicated to helping place veterans, at-risk youth and previously incarcerated individuals in career-track construction industry jobs. Flores currently co-chairs the Diversity & Inclusion Committee of the USC Alumni Association Board of Governors. He also serves on the USC Dornsife College of Letters, Arts and Sciences Board of Councilors, as well as the USC Athletics Board of Counselors. In addition, Flores volunteers as a mentor for two USC organizations, Society 53 and Dornsife Gateway Mentors. He is a member of the USC Associates and the Trojan Athletic Fund. A former LAA scholarship recipient, Flores was a finalist for LAA’s Dr. John Hubbard Award and received the Order of Troy. He earned dual degrees in business administration, finance and international relations from the USC Marshall School of Business and USC Dornsife, respectively. Lorena Martinez earned a BA in international relations from the USC Dornsife College of Letters, Arts and Sciences. She is a past scholarship recipient of the Latino Alumni Association and a first-generation USC graduate, along with her two siblings. 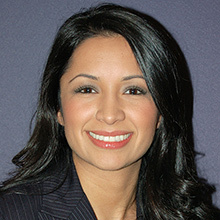 Martinez works in the pharmaceutical industry, specializing in ophthalmology as a senior sales representative. Previously, she served as a territory sales representative for Abbott Laboratories, Merck, Johnson & Johnson and Bausch & Lomb. Active in the USC alumni community, she serves on several LAA committees, including the scholarship review and legacy committees, and is a member of Town & Gown of USC, the university’s oldest women’s group. Mina Martinez is a certified corporate etiquette and international protocol consultant who provides business, social and dining etiquette, as well as civility and international protocol training in English and Spanish, through her company Prestige Protocol. 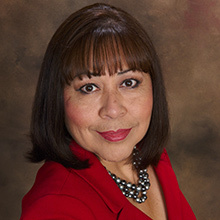 Prior to launching her own company, Martinez worked for 34 years in administration at Boeing Space and Intelligence Systems. A lifetime member of the Society of Hispanic Professional Engineers, Martinez has conducted business-etiquette workshops at numerous venues, schools of engineering and conferences. She has received numerous honors, including the 2009 Community Service Award and Heart of the Matter Honor from the Hispanic Engineer National Achievement Awards Corporation, and the Raytheon HOLA-HISNET Jose F. Silva Achievement Award. In addition to serving on the LAA Board of Directors, Martinez is a member of Town & Gown of USC. Her advocacy and philanthropic interests include the Alzheimer’s Association, United Farm Workers, the Latino Theater Company, Las Fotos Project and Olive Crest. 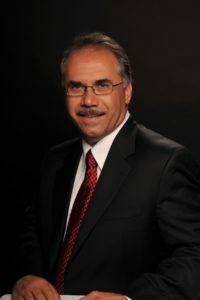 Edward Medina is a highly accomplished, results-oriented executive with over 24 years’ experience in the manufacturing and food industry, He has a successful record of domestic and international experience working in publicly traded and private companies to identify significant cost savings and additional revenue, which resulted in EBIDTA growth. The CEO of Ramona’s Food Group LLC since 2014, Medina has made a powerful impact on the company, improving processes, revenues and the bottom line. He has been featured in Hispanic Executive Magazine and was a semi-finalist for the Los Angeles 2018 Entrepreneur of the Year Award. Medina earned a BS in accounting from the USC Leventhal School of Accounting and an MBA from the USC Marshall School of Business. Maggie Miranda is Senior Sales Representative with Pfizer Pharmaceuticals. She has been a sales executive for more than 13 years during which time she has won various awards for her sales performance. Awarded four times the prestigious Premier Award for top sales performance. Maggie has severed on various leadership positions within Pfizer. Miranda earned her BS in business administration from the USC Marshall School of Business. She is a past scholarship recipient of the Latino Alumni Association and a first-generation USC graduate. In addition to her service on the LAA Board of Directors, she has served on several LAA committees, including the LAA Gala Committee, Golf Classic Committee, scholarship review committee. 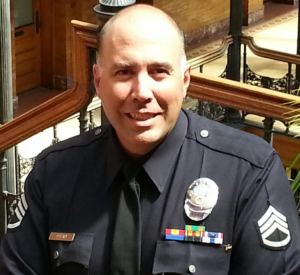 Anthony Otero has been with the Los Angeles Police Department (LAPD) for more than 20 years. He is a Sergeant II and currently assigned to Internal Affairs Group/Criminal Investigation Division. His assignments within the LAPD include: officer in charge of the Officer Representation Section, internal affairs investigator; gang detective, field supervisor; narcotics investigator; vice investigator; gang officer; and field training officer. Born and raised in Southern California, Otero attended Don Bosco Technical High School in Rosemead. While serving in the U.S. Marine Corps Reserve, he attained the rank of sergeant and was assigned as a section leader with the 4th Marine Division, Low Altitude Air Defense Battalion. He graduated from Whittier College and entered the Los Angeles Police Academy. While employed with the LAPD, he earned a master’s in public administration from National University; he subsequently earned a master’s of leadership and a doctorate of policy, planning and development from the USC Price School of Public Policy. Otero resides in Los Angeles County with his wife, Deputy District Attorney Araceli Otero, and their three children. Joel Pulgarin is vice president of sales for Paramount Safety Supply, based in Los Angeles County. The company provides quality personal protective equipment, fall protection, confined space entry/rescue systems and environmental monitors that meet or exceed OSHA compliance and provide cost savings programs to many industries. He earned his bachelor’s in business administration, with an emphasis in finance, from California State University (CSUN), Northridge—making him the first member of his family to graduate from college. He is a founding father for Gamma Zeta Alpha, Inc., Delta Chapter, which was the first Latino fraternity established at CSUN. He proudly served and received an honorable discharge from the United States Marine Corps Reserve. Pulgarin currently serves as vice chair for neighborhood partners board of directors, which provides low-income housing for San Fernando Valley residents. He is also a proud member of the USC Latino Alumni Association Scholarship Golf Classic committee. He served as past chair and member of El Consulado de Mexico (San Bernardino County office) health committee. He lives in Los Angeles with his wife and their two children. 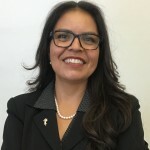 Lupita Sanchez Cornejo is the director of external affairs for AT&T, overseeing legislative and community affairs for the Greater Los Angeles region. She is responsible for executing local strategies that achieve corporate legislative and regulatory objectives; presenting company positions to external stakeholders in key issue areas; and managing community partnerships with nonprofit organizations, philanthropic and corporate social responsibility and consumer advocacy communities. She heads a team who works with policymakers across the Los Angeles region on AT&T’s new technology deployment and infrastructure investment. For over 18 years, she has been a valuable part of the AT&T family, advancing the company’s public policy and philanthropic initiatives through a variety of leadership positions with community and business organizations. Cornejo earned a BA in political science from the USC Dornsife College of Letters, Arts and Sciences and an MPA from the USC Price School of Public Policy. In 1994, she was named to USC’s Order of Troy for her academic excellence, leadership and extraordinary service and commitment to the university community. Susan Sifuentes-Trigueros serves as regional public affairs manager for the Southern California Gas Company. In her 30 years with the company, she has also held positions in the external affairs, accounting and human resources departments. Sifuentes-Trigueros earned certificates of completion from the Southern California Leadership Network, HOPE Leadership Institute and UCSD Manager’s Toolkit Leadership Training programs. She earned a BS in business administration, with an emphasis in accounting, from the USC Marshall School of Business. 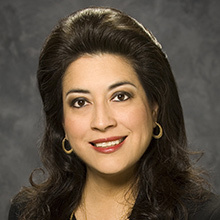 Sifuentes-Trigueros serves on the USC Alumni Association’s Board of Governors and the League of Cities Partners Steering Committee, and is also a board member of Hispanas Organized for Political Equality (HOPE) and the Southern California Leadership Network. Sifuentes-Trigueros has received numerous legislative certificates of recognition for her community and advocacy work. She was named one of the 21 Leaders for the 21st Century for her work in civic participation by Women’s eNews. She has received the HOPE PAC Leadership Award, the Corporate Award from the Girls Today Women Tomorrow Leadership Mentoring Program, and a USC Alumni Association Widney Alumni House Award. 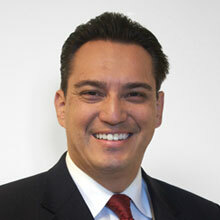 Douglas Solorzano is Senior Vice President – Investments at DAS Wealth Management Group of Wells Fargo Advisors. He received a BS in business administration, with emphasis in international finance and entrepreneurship, from the USC Marshall School of Business. Solorzano is a member of Cardinal and Gold, and has served as a distinguished speaker at USC. A seasoned traveler, Solorzano has visited all 50 states, 94 countries and all seven continents.